So much has been spent to achieve apparently so little - it could well be time to take stock of just how effective the help rolled out by the government has been in boosting productivity levels here. A closer look at the business community's hopes for Budget 2014 reveals that most are not asking for additional help through new schemes, but for tweaks to the ones already in place, so as to boost their efficacy and potency. The foremost of these is the Productivity and Innovation Credit (PIC) scheme, first introduced in 2010. It offers 400 per cent tax deductions and cash payouts to businesses that spend on productivity-related investments, including staff training, automation, and research and development. But results of the government's push for productivity have thus far been described by some as "lacklustre" and "scant". The numbers seem to bear this out. According to the Department of Statistics, labour productivity edged up by only 1.3 per cent in 2011, and even shrank by 2.6 per cent the year after - a far cry from the government's target to achieve productivity growth of 2-3 per cent per year by 2020. When queried by Parliament's Estimates Committee on the reasons for the decline, the Ministry of Finance said that Singapore's short-term productivity performance was largely reflective of economic cycles. It added that productivity declined 2.6 per cent in 2012 due to weaker economic growth, especially in the trade-oriented manufacturing sector, which was weighed down by the patchy recovery in advanced economies. Indeed, Deputy Prime Minister Tharman Shanmugaratnam recently called economic restructuring "a multi-year task" and "not something that can be achieved in two or three years". But apart from pallid productivity growth numbers, others have questioned the success of PIC in terms of its take-up rate, particularly among smaller firms which arguably need to improve most. While the take-up rate in 2012 was highest among large firms with a turnover of $100 million and above (81 per cent), it was lowest for micro-enterprises with a turnover of less than $1 million (24 per cent). Small firms with revenue between $1 million and $10 million had a take-up rate of 59 per cent, while that of medium-sized businesses with turnover above $10 million but below $100 million stood at 74 per cent. "While the PIC is structured to appeal most to SMEs, it benefits all companies - big and small," noted EY's Tan Bin Eng and Tracy Tham, partner and senior manager respectively of the firm's Business Incentives Advisory. 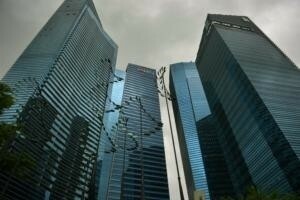 But with small and medium-sized enterprises (SMEs) forming the backbone of Singapore's economy - they make up 99 per cent of all businesses here, hire 70 per cent of the labour force, and contribute almost half of GDP - there is concern that PIC resources aren't being channelled to businesses that are truly in need of assistance. Said DBS economist Irvin Seah: "The take-up rate of the PIC for smaller companies is exceptionally low compared to the bigger ones ... It could be reflecting that things are too onerous for the smaller guys. They need just as much, if not more help from the government." According to various audit firms and business associations, smaller companies often have limited know-how and resource constraints, which can hamper intentions to apply for government incentives. That is why the vast majority of stakeholders favour an extension of the PIC beyond its 2015 expiry, over the implementation of a brand new scheme (or worse, its termination). But they also want the government to simplify its rules, since SMEs' efforts to comply with administrative procedures can sometimes mean disproportionately high costs, compared to the benefits enjoyed. While Singapore International Chamber of Commerce (SICC) chief executive Phillip Overmyer noted the government's good intentions in developing a suite of schemes to support SMEs, he highlighted that many have found it "onerous and time-consuming" to comb through those of most use. "In some cases, SMEs are not even certain if they qualify for the schemes and tend to be put off by the complex application process," said Mr Overmyer. KPMG's head of tax, Tay Hong Beng, meanwhile, would like to see a more forgiving taxman: "The tax administration of the PIC scheme can also be improved, providing more leeway for companies to voluntarily disclose and correct honest mistakes in claims made." This is especially so for smaller firms, who traditionally have minimal exposure to tax incentives. There are also those - a small minority - who want to see an end to business productivity incentives, since results have been sub-par. According to findings from a recent KPMG pre-budget survey, 3.2 per cent of respondents said the PIC scheme "has not been useful" and don't want it extended. Part of this stems from disgruntlement with fraudsters. According to the Inland Revenue Authority of Singapore (Iras), common abuses include inflating claims by issuing invoices with higher prices; creating false records; setting up shell companies to make multiple claims; and hiring phantom employees to meet the criteria where firms must have at least three workers to make their claims. In addition to these outright abuses of the system, there are also concerns about legally-valid claims that go against the spirit of the PIC scheme. Said CIMB economist Song Seng Wun: "Some companies are just using the schemes to change old office computers for new ones, since taxpayers are forking out the money, rather than seriously looking at how new technology or work processes can help them do more with less. So one view is that maybe it's better (to withhold help entirely until they either) get the message (to restructure) or pack up. It's not a bad strategy since there are still plenty of businesses who are willing to expand or start up here." But UOB economist Francis Tan thinks that Singapore cannot afford the "chain reaction" that could hit the economy if that were to happen: "Some might say we should force out the companies who can't restructure altogether, but I don't think that's a viable option. If the government is taking away companies' cheap labour - which they've been used to for so many years - it also needs to support and ease them into the new way of doing things."